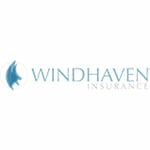 With its roots back to 1990, Windhaven Insurance™ is a Florida based insurance provider representing both Equity Insurance Company and our own carrier. Since 2004 Windhaven Underwriters has been and continues to be dedicated to providing the independent agent the strongest selection of personal auto insurance products, by maintaining competitive rates, by providing outstanding customer service, by upholding a commitment to total support and by offering state of the art user friendly systems. We at Windhaven™ are committed to Florida and Floridians. We are actively involved in industry groups such as Specialty Agents of Florida, Latin American Association of Insurance Agents and the Florida Property and Casualty Association. In the community we are active with Big Brothers/Big Sisters of Greater Miami, The Adrienne Arsht Center and other local charities. Bad customer service. No accountability for thier actions. No core values at all. I wouldn't recommend this to my ememy. How is this company still in business! I give Windhaven a zero..the worst of the worst. Customer is rude and inconsiderate.